This year, it's French madness. It's fry madness. 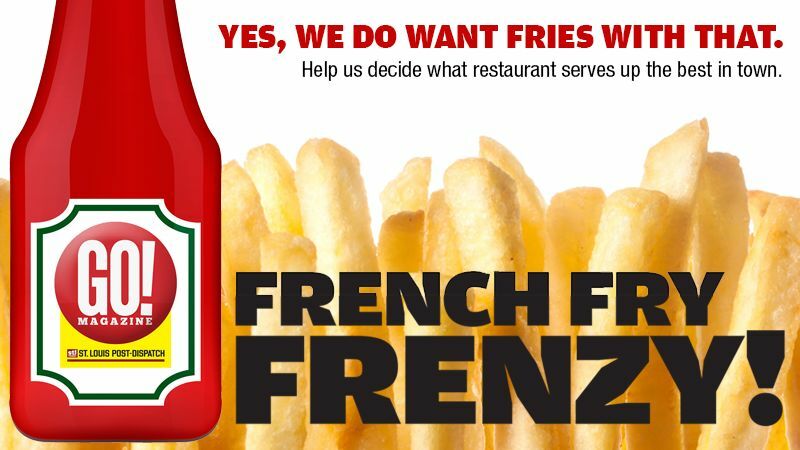 It's french fry madness. But it isn't freedom fry madness. That would be madness. Every year, we match up restaurants in a vaguely basketball-ish bracket competition pitting 64 local establishments against one another to determine the best example of that food. This year, we're serving up fries. Whose are the finest in the land? We've divided the bracket into four "regions": restaurants, bars, specialty fries (everything from sweet potato fries to smothered chili-cheese fries) and fast-food/chain restaurants. The winner will be decided by you, the reader. Just register and pick your favorite in each seeded pairing. Come back and vote in the rounds that follow until a final winner is selected and gloriously crowned the maker of the best fries in the St. Louis area. At the end of the bracket, one lucky participant will be randomly drawn to win a $50 gift card from the winning establishment.